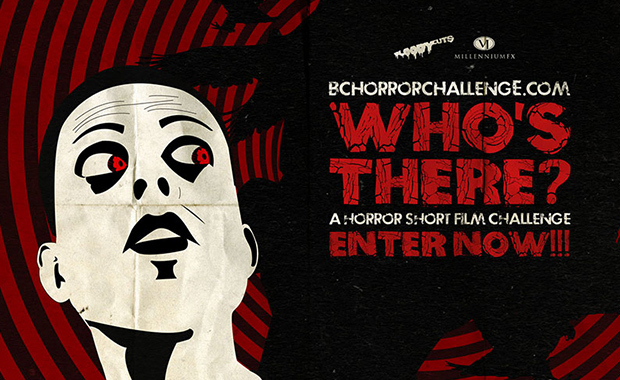 Bloody Cuts, a UK-based production company, is hosting its first ever horror film challenge – “Who’s There” – and inviting filmmakers around the world to enter. The organizers are offering budding filmmakers the opportunity to craft some terrifying slices of fear in return for over $13,000 in prizes and a chance to have your work seen by industry top professionals including Gremlins director Joe Dante and The Walking Dead producer Gale Anne Hurd. Entrants are invited to create a wicked-scary Horror short, under 3 minutes long, using the theme of “Who’s There?”. Ghosts. Zombies. Vampires. Werewolves. Serial killers. Evil clowns. Mad monks. Insane cultists. Giant killer lizard beasts from hell. Found footage. Horror-comedy. Documentary. Happy, sad, mad and terrifying. As long at it’s Horror, it’s welcome in this challenge. Just make sure it’s scary. Boasting a panel where the word ‘expert’ is genuinely an understatement, the competition judges are “Gremlins” director Joe Dante, indie-horror stars the Soska Sisters, Hollywood producer Gale Anne Hurd, horror writer / director Marcus Dunstan, horror writer Patrick Melton, award-winning special effects maestro Neill Gorton, “Film School Rejects” managing editor Scott Beggs, world-class cinematographer Sam McCurdy, “Film State” and “Film Riot” host Ryan Connolly and “Daywalt Horror” creator and Best Selling Author Drew Daywalt! Bloody Cuts have teamed with dozens of sponsors from all over the film industry, who are giving away well over $13,000 worth of equipment, software, merchandise and more as exclusive prizes for the competition. There are also individual awards and prizes for directing, writing, grading and a variety of other technical skills. Combined with a first prize valued at over $8,500 it means “Who’s There?” has one of the biggest prize pots ever committed to a short film competition.